From Laurinburg go north on US 15 about 5 ½ miles to Fairly Monroe Rd (State Rd. #1326), turn left and travel about 1½ mi. to Sneads Grove Rd. (State Rd. #1324). Turn left and go about ½ mile. Cemetery is on the right. 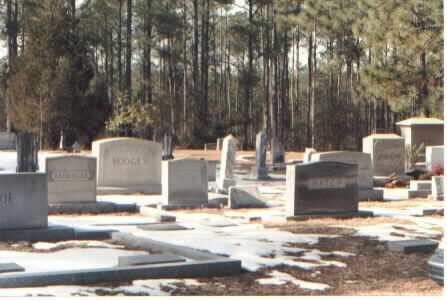 The name of this cemetery is not shown. 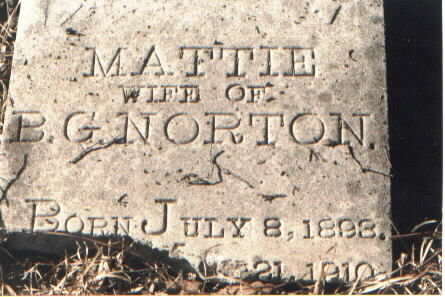 Mattie Wife of B.G. Norton July 8, 1893  May 21, 1910 [broken] May the Resurrection find thee on the bosom of thy God. Catherine Wife of Thomas Pate Died July 8, 1897 Aged 78 yrs. James Fairley Died Feb. 1, 1897 Aged 62 yrs. 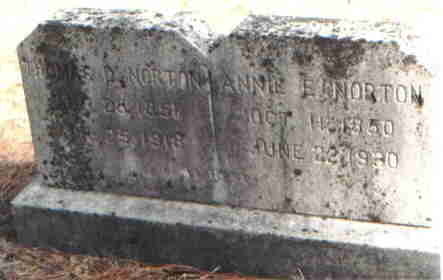 Effie Wife of Kenneth McLaughlin Died 1908 Aged 74 yrs.